Just after IDC released their numbers of their worldwide Disk Storage System Tracker (Read my blog) 10 days ago, Gartner released their Worldwide External Controller Based (ECB) Disk Storage Market report for Q3 of 2011. The storage market remains resilient (for now) and growing 10.4% in terms of revenue, despite the hard economic conditions. The table below shows the top 7 storage vendors and their relation to their Q2 numbers. EMC remained at the top and gained a massive 3.6% jump in market share. Looks like they are firing all cylinders and chugging like an unstoppable steam train. IBM gained 0.1% in second place as its stable of DS8000, XIV and Storewize V7000 is taking shape. Even though IBM has been holding steadily, I still think that their present storage lineup is staggered and lacks that seamless upgrade path for their customers. I wrote in my recent blog, that NetApp has to start evolving from a pure-play storage vendor into a total storage and data management solution vendor. The recent rumours of NetApp’s interests in Commvault and Quantum should make a lot of sense if NetApp decides to make that move. Come on, NetApp! What are you waiting for? HP came back strong in this report. They are in 4th place with 10.4% market share and hot on NetApp’s heels. After many months of nonsensical madness – Leo Apotheker firing, trying to ditch the PC business, the killing of WebOS tablet, the very public Oracle-HP spat – things are beginning to settle a bit under their new CEO, Meg Whitman. In a recent HP Discover conference in Vienna, it was reported that the HP storage team is gung-ho of what they have in their arsenal right now. They called it “The 4 Jewels of HP Storage Crown” which includes 3PAR, Ibrix, StoreOnce and LeftHand. They also leap-frogged over HDS and Dell in the recent Gartner Magic Quadrant (See below). Kudos to HP and team. HDS seems to be doing well, and so is Dell. But the Gartner numbers tell a different story. HDS, lost market share and now shares 7.8% market share with Dell. Dell, despite its strong marketing on Compellent, could not make up its loss after breaking off with EMC. Fujitsu and Oracle completes the line up. My conclusion: HP and IBM are coming back; EMC is well and far ahead of everyone else; NetApp has to evolve; Dell still lacking in enterprise storage savviness despite having good technology; No comments about HDS. Nowadays, the capacity of the hard disk drives (HDDs) are really big. 3TB is out and 4TB is in the horizon. What’s next? For small-medium businesses in Malaysia, depending on their data requirements and applications, 3-10TB is pretty sufficient and with room to grow as well. Therefore, a 6TB requirement can be easily satisfied with 2 x 3TB HDDs. If I were the customer, why would I buy a storage array, with the software licenses and other stuff that will not only increase my cost of equipment acquisition and data management, it will also increase the complexity of my IT infrastructure? I could just slot HDDs into my existing server, RAID it with RAID-0 (not a good idea but to save costs, most customers would do that) and I have a 6TB volume! It’s cheaper, easier to manage with Windows or Linux, and my system administrator doesn’t have to fuss about lack of storage experience. And RAID isn’t really keeping up with the tremendous growth of HDD’s capacity as well. In fact, RAID is at risk. RAID (especially RAID 5/6) just cannot continue provide the LUN or volume reliability and data availability because it just takes too damn long to rebuild the volume after the failure of a disk. Back in the days where HDDs were less than 500GB, RAID-5 would still hold up but after passing the 1TB mark, RAID-6 became more prevalent. But now, that 1TB has ballooned to 3TB and RAID-6 is on shaky ground. What’s next? RAID-7? ZFS has RAID-Z3, triple parity but come on, how many vendors have that? With triple parity or stronger RAID (is there one? ), the price of the storage array is going to get too costly. Experts have been speaking about parity-declustering, but that’s something that a few vendors have right now. Panasas, founded by one of forefathers of RAID, Garth Gibson, comes to mind. In fact, Garth Gibson and Mark Holland of Cargenie-Mellon University’s Parallel Data Lab (PDL) presented a paper about parity-declustering more than 10 years ago. Let’s get back to our storage fatty. Yes, our storage is getting fat, obese, rotund or whatever you want to call it. And storage vendors have been pushing a concept in hope that storage administrators and customers can take advantage of it. It is called Storage Optimization or Storage Efficiency. Here are a few ways you can consider to put your storage on a diet. To me, compression has not taken the storage world by storm. But then again, there aren’t many vendors that tout compression as a feature for storage optimization. Most of them rather prefer to push the darling of data reduction, data deduplication, as the main feature for save more space. Theoretically, data deduplication makes more sense when the data is inactive, and has high occurrence of duplicated data. That is why secondary storage such as backup deduplication targets like Data Domain, HP StoreOnce, Quantum DXi can publish 20:1 rates and over time, that rate can get even higher. NetApp also has been pushing their A-SIS data deduplication on primary storage. Yes, it helps with the storage savings in primary but when the need for higher data transfer rates and time to access “manipulated” data (deduped or compressed), it is likely that compression is a better choice for primary, active data. So who has compression? NetApp ONTAP 8.0.1 has compression now and IBM with its Storewize V7000 started as a compression device. Read about IBM Storewize in my blog here. Dell has Ocarina Networks, which was recently unleashed. I am a big fan of Ocarina Networks and I wrote about the technology in my previous blog. EMC, during the Celerra days of DART has compression but I don’t hear much about it in their VNX. Compression is there, believe me, embedded all the loads of EMC marketing. In the past, storage systems aren’t so intelligent. You ask for 10TB, you are given 10TB and that 10TB is “deducted” from the storage capacity. That leads to wastage and storage inefficiencies. 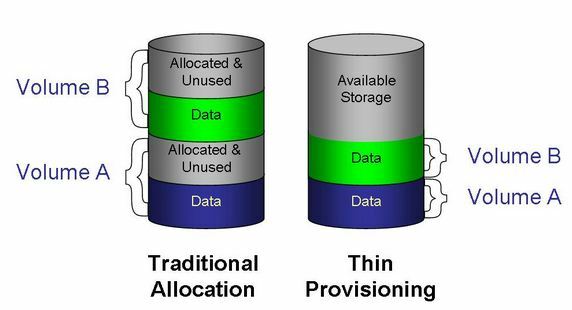 Today, Thin Provisioning will give you 10TB but storage capacity is consumed as it is being used. The capacity is not pre-allocated as in the past. Thin provisioning is a great diet pill for bloated storage projects. Another up and coming feature is storage tiering. Storage tiering, when associated to storage optimization, should include hierarchical storage management (HSM) and tape-out as well. Storage optimization solutions should not offer only in the storage array itself. 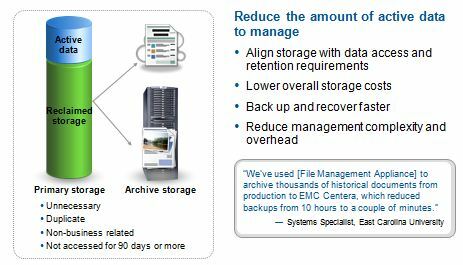 Storage tiering within the storage array is available with most vendors – IBM EasyTier, EMC FAST2, Dell Fluid Data Management and many others. But what about data being moved out of the storage array? What about reducing the capacity of the data online or near-line? Why not put them offline if there isn’t a need for it? Active Archiving promotes the concept of data archiving and is not unique only to EMC. Almost all storage vendors, either natively or with 3rd party vendors, can perform fairly efficient data archiving in one way or another. One of the software that I liked (and not unique!) is Quantum Stornext. Here’s a video of how Quantum Stornext helps reduce the fat of the storage. With the single-copy sharing feature of Quantum Stornext to multiple disparate OSes, there are lesser duplicate files in storage as well. Tapes have been getting a bad name in the past few years. It has been repositioned and repurposed as an archive medium rather than a backup medium. But tape is the greenest and most powerful storage diet pill around. And we should not be discount tapes because tapes are fighting back. Pretty soon you will be hearing about Linear Tape File System (LTFS). In a nutshell, Linear Tape File System (LTFS) allows you to use the tape almost as if it were a hard disk. You can drag and drop files from your server to the tape, see the list of saved files using a standard operating system directory (no backup software catalog needed), and use point and click to restore. How cool is that! And Solid State Drives (SSDs) makes sense as well. The set of 16 spinning HDD drives on the left can only deliver 3,520 IOPS. The problem is, we have wasted a lot of disk space, as seen in the diagram below. This design, which most customer would be accustomed to, may look cheaper but in actual fact, is NOT. If the price of a Fibre Channel HDD is RM2,000, the total of 16 would make up RM32,000.00. That is not inclusive of additional power and cooling and rack space and also the data management costs. Assuming the SSDs costs 5 times more than the Fibre Channel HDD. SSDs are capable of delivering very high IOPS. Here I am putting a modest 5,000 IOPS per SSDs. With just 2 SSDs (as the right design suggests), the total costs is only RM20,000. It has greater performance room to grow, and also savings in data management, power and cooling. Folks, consider SSDs as part of your storage diet plan. All these features are available, in whole or in part, and they are part of the storage technology offerings that is out there. With all these being said, are you doing something about it? Get off your lazy bum and start managing your storage and put your storage on a diet!!! It’s that time of the year again where Gartner releases it Magic Quadrant for the block-access, external controller-based, mid-range and high-end modular disk arrays market. This particular is very important because it represents the mainstay of the overall storage industry, viewed from a more qualitative angle. Whereas the other charts and reports work with statistics and numbers, this is the chart that everyone in the industry flock to. Gartner Magic Quadrant (MQ) is the storage industry indicator of who’s are the leaders; who are the visionaries; who are the executive wizards and who are the laggards (also known as niche players). So, this time around, who’s in the Leaders Quadrant? 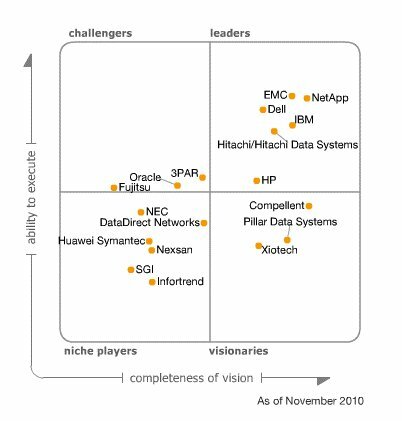 The perennial players in the Leader’s Quadrant are EMC, IBM, NetApp, HP, Dell, and HDS. In my previous blog, I shared with you the IDC figures about market shares but the Gartner MQ shows are more subtle side, and one that perhaps carry more weight to organizations. From the IDC numbers announced previously, we have seen Dell taking a beating. They have lost market share and similarly in this latest Gartner MQ, they have lost their significance of their influence as well. Everyone expected their Compellent solution to be robust and having EqualLogic, Ocarina and Exanet in its stable would strengthen their presence in the storage industry. Surprisingly, Dell lost on both IDC statistically charged market numbers and this Gartner MQ as well. Perhaps they were too hasty to dump EMC a few months ago? Gartner also reported that HP has made significant leap in the Leader’s Quadrant. 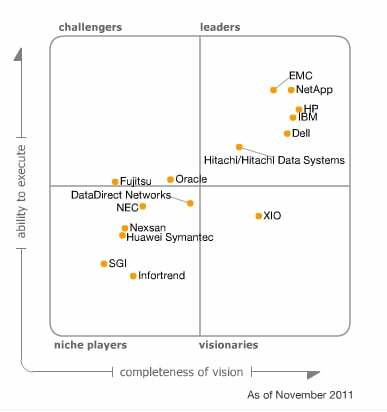 It has leapfrogged over HDS and IBM when comparing their position in Gartner’s MQ chart. This could be coming from their concerted effort to pitch their Converged Infrastructure, a vision that in my opinion, simplified computing. HP Malaysia shared with me their vision a few months ago, and I was impressed. What I was not very impressed then and even now, is that their storage solutions story is still staggered, lacking the gel. Perhaps it is work in progress for HP, the 3PAR, the IBRIX and the EVA. But one things for sure. They are slowly but surely getting the StoreOnce story right and that’s good news for customers. I did a review of HP StoreOnce technology a few months ago. Here’s a glimpse of last year’s Magic Quadrant. In the Niche Quadrant, there are a few players making waves as well. 2 companies to watch out for are Huawei (they dropped Symantec 2 weeks ago) and Nexsan. Nexsan has been beefing up its marketing of late, and I often see them in mailing lists and ads on some websites I went to. But the one to watch will be Huawei. This is a company with deep pockets, hiring the best in the storage industry and also has a very strong domestic market in China. In the next 2-3 years, Huawei could emerge as a strong contender to the big boys. So watch out! Gartner Magic Quadrant is indeed weaving its magic and this time around the magic is good to HP. The storage train is still chugging hard and fast as IDC just released its Worldwide Disk Storage System Tracker for 3Q11. Despite the economic climate, the storage market posted a strong 8.5% revenue growth and a whopping 30.7% growth in terms of petabytes shipped. In total, 5,429PB were shipped in Q3. So how did everyone do in this latest Tracker report? 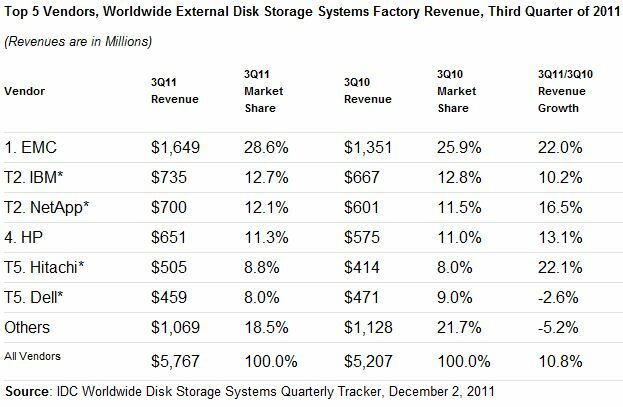 In the Worldwide Total External Disk Storage Systems, EMC is still holding on to the #1 position, with 28.6%. IBM and NetApp came in at 12.7% and 12.1% respectively. The table below summarizes the percentage view of the top storage players, in terms of revenue. From the table, everyone benefited from the strong buying of storage in the last quarter. EMC gained a strong market gain of almost 3%, while everyone else either gained or lost less than 1% market share. But the more interesting numbers are not from the market share column but the % growth column. HDS posted the strongest growth of 22.1%, slightly higher than EMC of 22.0%. HDS is beginning to get their story right, putting the right storage solutions in place, and has been strongly focused in their services offering as well. That’s simply great news for HDS because this is a company is not known for their marketing and advertising. The Japanese “culture” within HDS probably has taught it to be prudent but to see HDS growing faster than the big boys like IBM and HP is something their competitors should respect. I believe customers are beginning to see the true potential of HDS. As for EMC, everyone labels them as the 800-pound gorilla but they have been very nimble and strong in the storage market for many quarters. This is due to the strong management team headed by Joe Tucci and his heir-in-waiting, Pat Gelsinger. Several of their acquisitions are doing well, with the likes of Isilon, Greenplum, Data Domain, and of course VMware. Even though VMware does not contribute the EMC revenue numbers, the very fact that EMC owns more than 80% of VMware has already given EMC a lot of credibility in the storage battlefield. They are certainly going great guns. NetApp took a hit in the last quarter, when they missed the street revenue numbers last quarter. Their stock took a beating and there were rumours in the market that NetApp might acquire Commvault and Quantum to compete with EMC. EMC has been able to leverage the list of companies and acquired solutions very well, from data protection solutions like Networker and Avamar, deduplication solutions like Data Domain and Avamar, Documentum for content management and so on, while NetApp has been, for the longest time, prefer a more “loosely-coupled” approach with their partners for a more complete solution set. Other interesting reports from IDC are the Open SAN/NAS market, the NAS market and the iSCSI market. The strong growth is indeed good news as the storage market continues to weather the economic crisis storm. I have been saying this all along. The storage market in IT is still the growth engine as data keeps growing and growing, even though it was never the darling of the IT industry. Let’s hope the trend continues. The rumour mill is going again that Commvault is an acquisition target, and this time, NetApp. The rumour is not new but someone Commvault has gotten too big in the past couple of years to be swallowed up. But this time, it could happen as NetApp is hungry, …. very hungry. NetApp took a big hit a couple of weeks back, when it announced its Q3 numbers. Revenues fell short of analysts expectations and the share price took a big hit. While its big rival, EMC, has been gaining much momentum on all fronts, it appears that NetApp is getting overwhelmed by the one-stop-shop of EMC. EMC is everything to everyone who wants storage, data protection software, services, data management, scale-out, data security, big data, cloud storage and virtualization and much more. NetApp, has been very focused on what they do best, and that is storage. Everything evolves around their crown jewel, Data ONTAP and recently added Engenio to their stable of storage solutions. NetApp does not mix the FAS storage with the Engenio and making sure that their story-telling gels but in the past few years, many other vendors are taking the “one-stack-fits-all” approach. Oracle have Exadata, where servers, storage, database and networking in all-in-one. Many others are doing the same, while NetApp prefers a more “loose-coupled” partnerships, such as their “Imagine Virtually Anything” concept partnership with VMware and Cisco, in the shape of FlexPod. FlexPod is a flexible infrastructure package comprising presized storage, networking and server components designed to ease the IT transformation journey–from virtualization all the way to cloud computing. Commvault would be a great buy (going to be very expensive buy) for NetApp. Things fits perfectly if NetApp decides to abandon its overly protective shield and start becoming a “one-stop-shop” to its customers, starting with data protection. Commvault is already the market leader in the Enterprise Disk-based Backup and Recovery market, and well reflected in Gartner’s Magic Quadrant January 2011 report. It’s amazing to see how Commvault got to become the leader in this space in just a few short years, and part of its unique approach is providing a common core engine called the Common Technology Engine (CTE). The singular core architecture allows different data management components – Backup, Replication, Archiving, Resource Management and Classification & Search – to share resource and more importantly detailed knowledge of true data management. 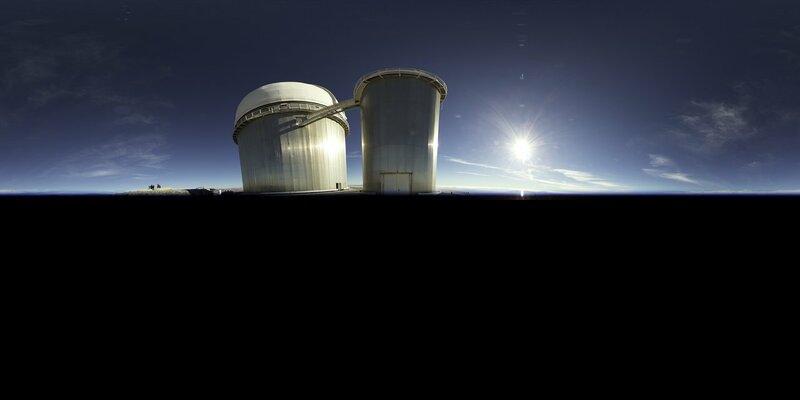 In the middle of this year, NetApp had an OEM deal with Commvault to resell their SnapProtect solution, which integrates with NetApp’s SnapMirror solution. 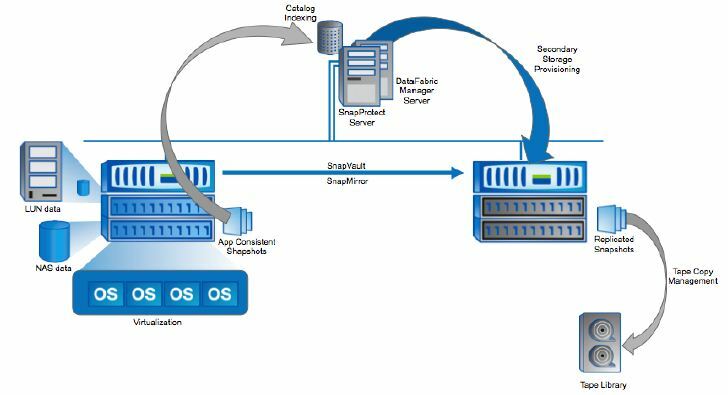 The SnapProtect manages NetApp snapshots and SnapMirror replications and also enhances the solution as a tape-out for SnapMirror. Below shows how the Commvault SnapProtect fits into NetApp’s snapshots and SnapMirror data protection architecture. Sources of NetApp’s C-Level said that NetApp is still very much focused on their ONTAP strategy and with their “loosely-coupled” partnerships with key partners like VMware, Cisco, F5 and Quantum. But at the back of NetApp’s mind, I believe, it is time to do something about it. This “focused” (also could be interpreted an overly cautious) approach is probably seeing the last leg of its phase as cloud computing is changing all that. The cost of integration of different, yet flexible components of storage, data protection and data management components, is prohibitive to cloud service providers and NetApp must take a bolder approach to win the hearts of these providers. Having a one-stop-shop isn’t so bad anymore; it is beginning to make sense and NetApp had better do something quick. Commvault is one of the best out there and NetApp shouldn’t lose that chance. Note: While the rumours of NetApp and Commvault are swirling, there’s been rumours that Quantum could be another NetApp target. Unless you are working with highly, parallelized access to files in a large scale-out NAS environment, you probably don’t get to work much with Parallel NFS (pNFS). 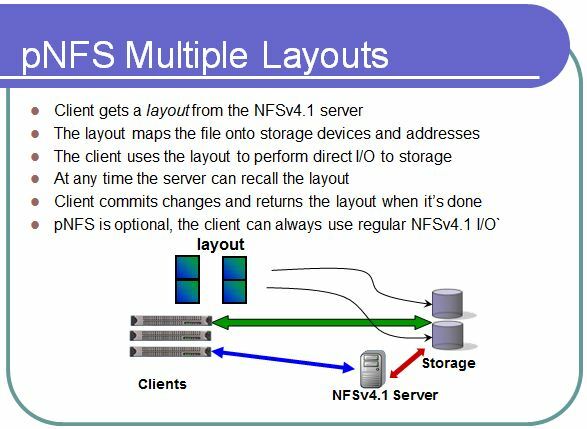 pNFS is part of the NFSv4.1 (RFC 5661) standard, and was introduced in January 2010 to address NFS protocol in the clustered, scale-out NAS environment. It is to provide parallel file access across distributed servers. pNFS is heavily driven by Panasas, NetApp, EMC, IBM, Sun (now Oracle) among others. And funnily enough, the company that sticks out from the bunch is one that used to tout block storage as the way to go, not files. That’s EMC, the company that more well known for its SAN solutions than its NAS (remember Celerra and IP4700?). And EMC has embraced pNFS in a big, big way. 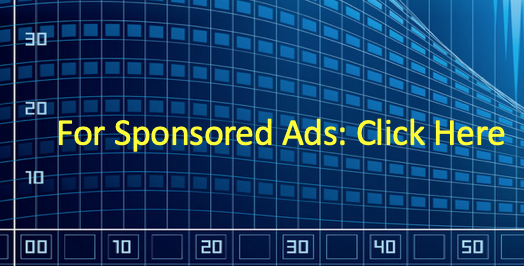 Read EMC’s CTO for Global Marketing, Chuck Hollis’ blog here and here. However, unknown to many, a lot of the thinking that goes into pNFS are very similar to an EMC product some years ago. That product is EMC Highroad, which in the later years, renamed as Multi-path File System (MPFS). Note: If you want to know more about the history of HighRoad/MPFS, read this blog. The cornerstone of EMC MPFS is their File Mapping Protocol or FMP, which is a robust protocol that lines the mapping of files to their addressable blocks in storage. In a nutshell, when I was made responsible for this product during my time at EMC, I used to pitch to companies that MPFS was a file request is through NFS but respond to the requester can be in blocks (iSCSI or Fibre Channel). The beauty of this was, NFSv3 was chatty and heavy but the delivery of data through blocks via iSCSI or Fibre Channel has lesser overhead compared to NFSv3. Hence the delivery is faster and EMC touted that the performance was 2-4x faster than NFS. Indeed, I have seen some lab tests results from EMC’s work with Schlumberger High Performance Lab in Houston, and the numbers were impressive. I still have them on Powerpoint somewhere. In circa of 2003-2004, EMC donated the FMP code to IETF and as they say the rest was history. The picture below basically summarizes what pNFS is all about. And one of the powerful feature of pNFS is that it is not just about NFS. The green arrow you see in the above diagram is the storage-access protocol. That access protocol can be NFSv4.1, CIFS, iSCSI, Fibre Channel, FCoE, Infiniband, and Object Storage Device (OSD). In order to have pNFS working, the NFS client must be NFSv4.1 ready and that code has been made available in Linux and OpenSolaris. Other Unix vendors, no doubt, will be coming out with their NFSv4.1 implementation soon. Oooooh, there will be a Windows NFSv4.1 client coming as well! But I want to dispel the notion that EMC is a SAN company. 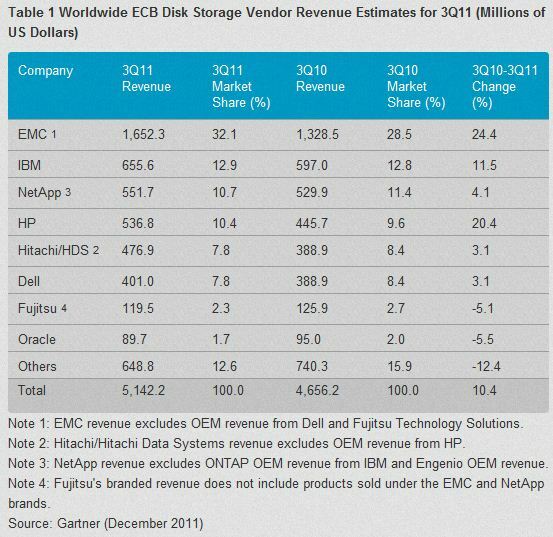 EMC is a very strong NAS company and if you have seen the IDC market share (ok, ok, many of you out there will argue about it), EMC is #1 in NAS. And their contribution to pNFS is immense. A few days after I wrote about the performance benchmark bag of tricks, EMC was the first to fire the first salvo at NetApp’s SPECSfs2008 world records on NFS IOPS. EMC is obviously using all its ammo to deflate NetApp chest thumping act, with Storagezilla‘s blog. Mark Twomey, who is the alter ego of Storagezilla posted several observations about NetApp apparent use of disk short stroking to artificially boost its performance numbers. This puts NetApp against the wall, with Alex MacDonald (who incidentally is SNIA NFSv4 co-chairman) of the office of the CTO responding hard to Storagezilla’s observation. The news of this appeared in The Register. Read all about it. With no letting up, the article also mentioned EMC Isilon’s CTO, Rob Pegler, adding more fuel to the fire. I spoke about short stroking as some of the tricks used to gain better numbers in benchmark. And I also mentioned that these numbers have little use to the real work and I would like to add that these numbers are just there for marketing reasons. So, for you readers out there, benchmark is really not big of a deal. A very interesting report surfaced in front of me today. 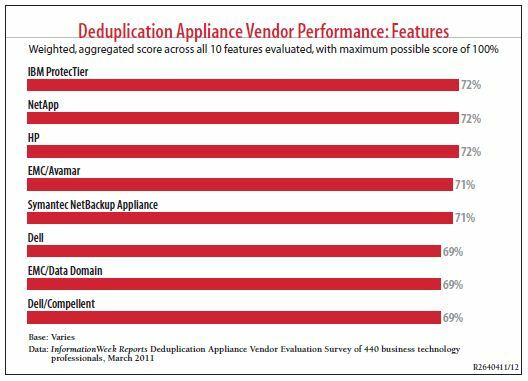 It is Information Week’s IT Pro ranking of Data Deduplication vendors, just made available a few weeks ago, and it is the overview of the dedupe market so far. It surveyed over 400 IT professionals from various industries with companies ranging from less than 50 employees to over 10,000 employees and revenues of less than USD5 million to USD1 billion. Overall, it had a good mix of respondents. But the results were quite interesting. Overall performance – product reliability, product performance, acquisition costs, operations costs etc. Technical features – replication, VTL, encryption, iSCSI and FCoE support etc. there is little difference among the 7 vendors. 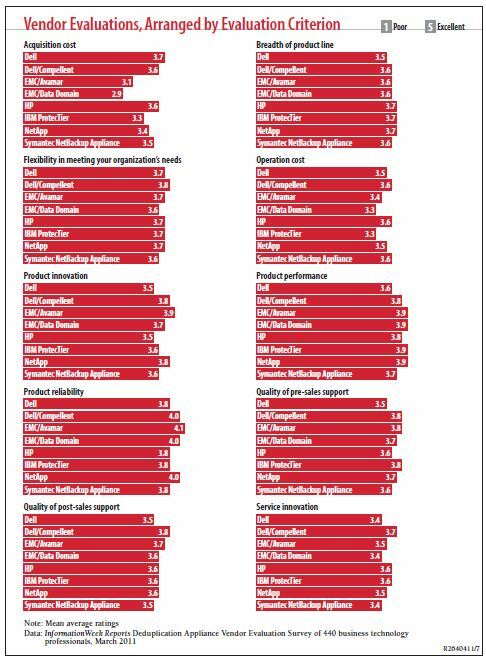 However, when it comes to Technical Features, Dell/Compellent is ranked last, the complete opposite. As you can see from the survey chart below, IBM ProtecTier, NetApp and HP are all ranked #1. These figures show that the competition between the vendors is very, very stiff, with little edge difference from one to another. But what I was more interested were the following findings, because these figures tell a story. In the survey, only 34% of the respondents say they have implemented some data deduplication solutions, while the rest are evaluating and plan to evaluation. This means that the overall market is not saturated and there is still a window of opportunity for the vendors. However, the speed of the a maturing data deduplication market, from early adopters perhaps 4-5 years ago to overall market adoption, surprised many, because the storage industry tend to be a bit less trendy than most areas of IT. With the way the rate of data deduplication is going, it will be very much a standard feature of all storage vendors in the very near future. The second figures that is probably not-so-surprising is, for most of the customers who have already implemented the data deduplication solution, almost 99% are satisfied or somewhat satisfied with their solutions. Therefore, the likelihood of these customer switching vendors and replacing their gear is very low, perhaps partly because of the reliability of the solution as well as those products performing as they should. 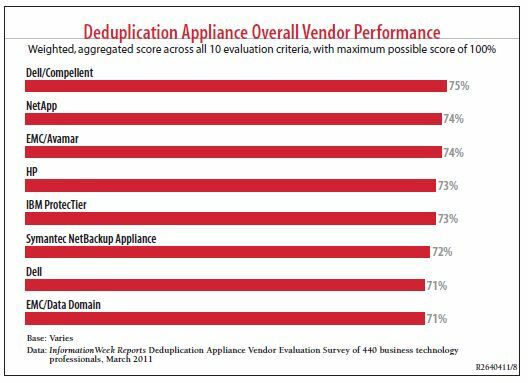 The Information Week’s IT Pro survey probably reflected well of where the deduplication market is going and there isn’t much difference in terms of technical and technology features from vendor to vendor. Customer will have to choose beyond the usual technology pitch, and look for other (and perhaps more important) subtleties such as customer service, price and flexibility of doing business with. EMC/Data Domain, being king-of-the-hill, has not been the best of vendor when it comes to price, quality of post-sales support and service innovation. Let’s hope they are not like the EMC sales folks of the past, carrying the “Take it or leave it” tag when they develop their relationship with their future customers. And it will not help if word-of-mouth goes around the industry about EMC’s arrogance of their dominance. It may not be true, and let’s hope it is not true because the EMC of today has changed plenty compared to the Symmetrix days. EMC/Data Domain is now part of their Backup Recovery Service (BRS) team, and I have good friends there at EMC Malaysia and Singapore. They are good guys but remember guys, customer is still king! Dell, new with their acquisition of Compellent and Ocarina Networks, seems very eager to win the business and kudos to them as well. In fact, I heard from a little birdie that Dell is “giving away” several units of Compellents to selected customers in Malaysia. I did not and cannot ascertain if this is true or not but if it is, that’s what I call thinking-out-of-the-box, given Dell as a late comer into the storage game. Well done! One thing to note is that the survey took in 17 vendors, including Exagrid, Falconstor, Quantum, Sepaton and so on, but only the top-7 shown in the charts qualified. This is the third and last blog entry of how do we get the ONTAP final capacity. In my first blog, we ran through a gamut of explanations how disk rightsizing came about for NetApp’s ONTAP. And the importance of disk rightsizing is to give ONTAP a level set of disks, regardless of manufacturer, model, make, firmware versions and so on, and ONTAP is pretty damn sure that the disks that it gets will not mess up. OK, the diagram’s in Japanese (I am feeling a bit cheeky today :P)! But it does look a bit self explanatory with some help which I shall provide now. If you start from the bottom of the picture, 16 x 300GB disks are combined together to create a RAID Group. And there are 4 RAID Groups created – rg0, rg1, rg2 and rg3. These RAID groups make up the ONTAP data structure called an aggregate. From ONTAP version 7.3 onward, there were some minor changes of how ONTAP reports capacity but fundamentally, it did not change much from previous versions of ONTAP. And also note that ONTAP takes a 10% overhead of the aggregate for its own use. With the aggregate, the logical structure called the FlexVol is created. 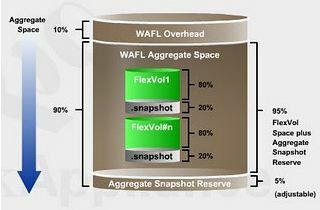 FlexVol can be as small as several megabytes to as large as 100TB, incremental by any size on-the-fly. This logical structure also allow shrinking of the capacity of the volume online and on-the-fly as well. Eventually, the volumes created from the aggregate become the next-building blocks of NetApp NFS and CIFS volumes and also LUNs for iSCSI and Fibre Channel. Also note that, for a more effective organization of logical structures from the volumes, using qtree is highly recommended for files and ONTAP management reasons. Then remember that each volume takes a 20% snapshot reserve overhead. That’s what you have got to play with when it comes to the final usable capacity. Though the capacity is not 100% accurate because there are many variables in play but it gives the customer a way to manually calculate their potential final usable capacity. Please note the following best practices and this is only applied to 1 data aggregate only. For more aggregates, the same formula has to be applied again. Snapshots for LUNs are subjected to space reservation, either full or fractional. Note that there are considerations of 2x + delta and 1x + delta (ask your NetApp engineer) for iSCSI and Fibre Channel LUNs, even though snapshot reserves are adjusted to 0% and snapshots are likely to be turned off. Another note that remember is not to use any of those Capacity Calculators given. These calculators are designed to give advantage to NetApp, not necessarily to the customer. Therefore, it is best to calculate these things by hand. Regardless of how the customer will get as the overall final usable capacity, it is the importance to understand the NetApp philosophy of doing things. While we have perhaps, went overboard explaining the usable capacity and the nitty gritty that comes with it, all these things are done for a reason to ensure simplicity and ease of navigating data management in the storage networking world. Other NetApp solutions such as SnapMirror and SnapVault and also the SnapManager suite of product rely heavily on this. And the intangible benefits of NetApp and ONTAP definitely have moved NetApp forward since its early years, into what NetApp is today, a formidable storage juggernaut. It has been a tough week for me and that’s why I haven’t been writing much this week. So, right now, right after dinner, I am back on keyboard again, continuing where I have left off with NetApp’s usable capacity. A blog and a half ago, I wrote about the journey of getting NetApp’s usable capacity and stopping up to the point of the disk capacity after rightsizing. We ended with the table below. * The size of 34.5GB was for the Fibre Channel Zone Checksum mechanism employed prior to ONTAP version 6.5 of 512 bytes per sector. After ONTAP 6.5, block checksum of 520 bytes per sector was employed for greater data integrity protection and resiliency. At this stage, the next variable to consider is RAID group sizing. NetApp’s ONTAP employs 2 types of RAID level – RAID-4 and the default RAID-DP (a unique implementation of RAID-6, employing 2 dedicated disks as double parity). Before all the physical hard disk drives (HDDs) are pooled into a logical construct called an aggregate (which is what ONTAP’s FlexVol is about), the HDDs are grouped into a RAID group. A RAID group is also a logical construct, in which it combines all HDDs into data or parity disks. The RAID group is the building block of the Aggregate. So why a RAID group? Well, first of all, (although likely possible), it is not prudent to group a large number of HDDs into a single group with only 2 parity drives supporting the RAID. Even though one can maximize the allowable, aggregated capacity from the HDDs, the data reconstruction or data resilvering operation following a HDD failure (disks are supposed to fail once in a while, remember?) would very much slow the RAID operations to a trickle because of the large number of HDDs the operation has to address. Therefore, it is best to spread them out into multiple RAID groups with a recommended fixed number of HDDs per RAID group. Different ONTAP versions (and also different disk types) have different number of HDDs to constitute a RAID group. 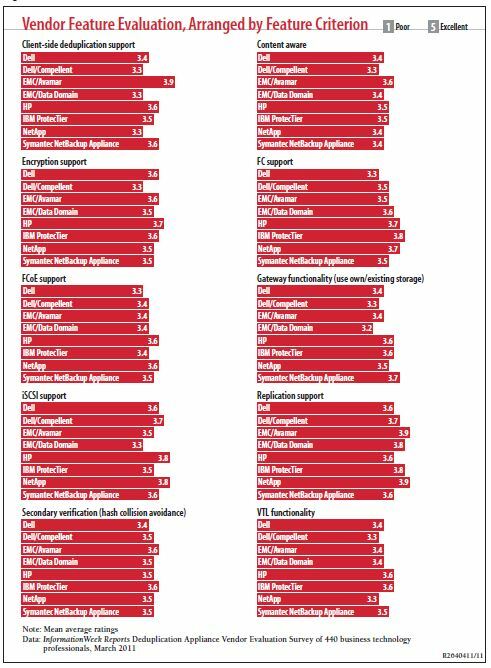 For ONTAP 8.0.1, the table below are its recommendation. So, given a large pool of HDDs, the NetApp storage administrator has to figure out the best layout and the optimal number of HDDs to get to the capacity he/she wants. And there is also a best practice to set aside 2 HDDs for a RAID-DP configuration with every 30 or so HDDs. Also, it is best practice to take the default recommended RAID group size most of the time. Consider the hot sparing best practice. The customer wants to ensure that there will always be enough spares, so using the rule-of-thumb of 2 HDDs per 30 HDDs, 6 disks are set aside as hot spares. That leaves 94 HDDs from the initial 100 HDDs. There is a root volume, rootvol, and it is recommended to put this into an aggregate of its own so that it gets maximum performance and availability. To standardize, the storage administrator configures 3 HDDs as 1 RAID group to create the rootvol aggregate, aggr0. Even though the total capacity used by the rootvol is just a few hundred GBs, it is not recommended to place data into rootvol. Of course, this situation cannot be avoided in most of the FAS2000 series, where a smaller HDDs count are sold and implemented. With 3 HDDs used up as rootvol, the customer now has 91 HDDs. With 91 HDDs, and using the default RAID group size of 14, for the next aggregate of aggr1, the storage administrator can configure 6 x full RAID group of 14 HDDs (6 x 14 = 84) and 1 x partial RAID group of 7. (91/14 = 6 remainder 7). And 84 + 7 = 91 HDDs. RAID-DP requires 2 disks per RAID group to be used as parity disks. Since there are a total of 7 RAID groups from the 91 HDDs, 14 HDDs are parity disks, leaving 77 HDDs as data disks. This is where the rightsized capacity comes back into play again. 77 x 2TB HDDs is really 77 x 1.69TB = 130.13TB from an initial of 100 x 2TB = 200TB. If you intend to create more aggregates (in our example here, we have only 2 aggregates – aggr0 and aggr1), there will be more consideration for RAID group sizing and parity disks, further reducing the usable capacity. This is just part 2 of our “Playing with NetApp Capacity” series. We have not arrived at the final usable capacity yet and I will further share that with you over the weekend.